Fallout 4 has an infinite caps glitch. Take advantage, you dirty cheaters, you. The Fallout 4 player base has discovered a perhaps inevitable hole in the sprawling open world game’s economy. On the vendor panel (right side), select an entire stash of a single ammo type to trade. For best results, choose the most expensive ammo available. Do not finalise the trade! Instead, on your own panel (left side), select one piece of ammo of that type to trade back – as if you had initially decided to by X, but now only want X-1. Now trade another chunk of the same ammo – any amount besides all of it or all but one. Then try to sell any back. If it works, you should find that the amount of ammo you have in your panel does not go down, but the trade value at the bottom of the screen changes in your favour. You can keep doing this until the vendor runs out of caps to give you – or even clean out all their inventory as well as their money. 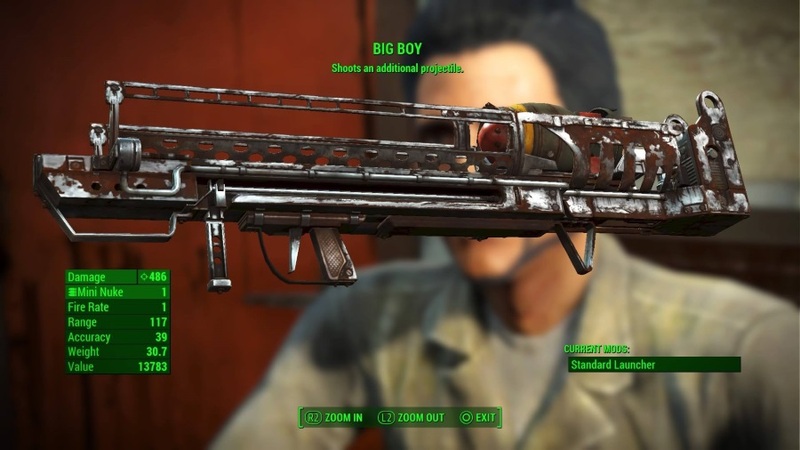 We expect Bethesda to patch this pretty quick, so get cracking; you need a lot of caps to grab the goodies on our most lethal Fallout 4 weapons list – like the Big Boy double nuke launcher above.